Today I’m excited to share with you the words of someone else. I’m so thankful for her thoughts, heart, and influence, not only here but throughout my life. I’m excited to introduce you to my mom, Vicki! I can’t think of a more fitting person to write the first guest contribution on this blog as she shares her thoughts on keeping your eyes on Christ at Christmas. I took my eyes from the vertical position, heavenward, and turned them toward the horizontal. My focus went from following only what the Holy Spirit is directing me to do to focusing on what my friends, neighbors, church, authors, and radio show hosts are telling me I should be doing. Why do I continue to do that? 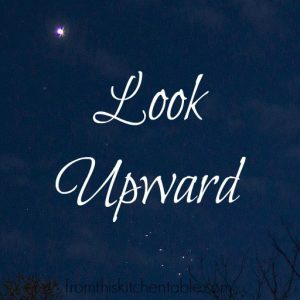 I know what looking horizontally brings – fatigue, depression, feelings of inadequacies, trying to please others, the fear of letting others down, and frustration. I guess if I had to sum it up, I would say it makes my burdens heavy. Like a chain around my neck, I carry the burdens alone. But, oh the difference when my eyes have been looking upward. The path is not always easy. The days are not without trials. The problems are still before me. The difference is only in the weight of the burden. When I walk where He tells me to walk, the burden on me is light because He is carrying it for me. During this Christmas season, we celebrate a day 2,000 years ago when God told His only Son, Jesus Christ, to go ‘there’ – the place of God’s purpose – and He went. 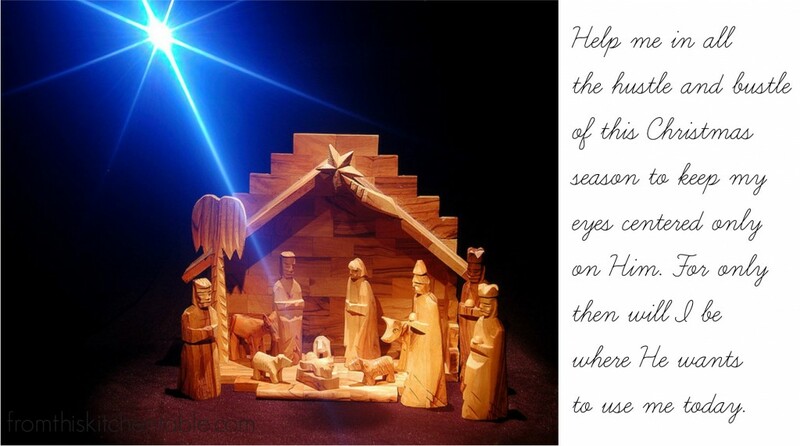 Help me in all the hustle and bustle of this Christmas season to keep my eyes centered only on Him. For only then will I be where He wants to use me today. 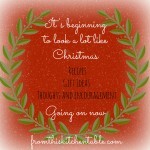 This week continues all things Christmas at From this Kitchen Table. (Find all the posts here.) Be sure to come back the rest of the week for a gift guide for teenage girls (written by my two teenage sisters) and to get a fabulous recipe for a gingerbread latte. You can follow us on Facebook or subscribe by e-mail to be sure you don’t miss out! This entry was posted in Christmas on December 10, 2013 by Deanna Michaels. 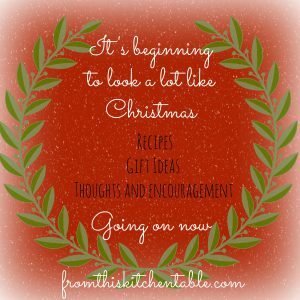 This is the third post in the Christmas series at From this Kitchen Table. (Find all the posts here.) Be sure to come back over the next few weeks to read more thoughts, get some new recipes, and receive gift ideas. You can follow us on Facebook or subscribe by e-mail to be sure you don’t miss out! It’s December. Parties and dinners to attend. Presents or hostess gifts might be required. 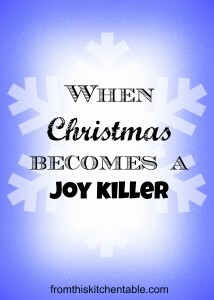 Every year I find myself brainstorming ideas for my church staff party and for family. I’ve assembled some ideas that I’ve seen, received, or made. Make them simple (and super affordable) or add the optional ideas to jazz them up a bit. You could even combine a few baskets into one – Popcorn/Movie Basket and the Hot Chocolate one go together pretty well. Find a basket or tin (Hobby Lobby has a great selection of both you can buy on sale) or even a gift bag and arrange all the goodies! You can also put everything inside of the mug as packaging if you’re going to give it to a single person. Tie cellophane around it with a bow or ribbon to complete the packaging. I love tea but it’s not often that I splurge on a fun new flavor. Celestial Seasons is an option available at your local store. Small Jar of Honey (Optional) Buy a small glass jar and put honey in it or buy a honey sampler already packaged. Packaging A basket or you may put a bow on a single box or tape several boxes together and tie it with ribbon. Packaging Leave it in it’s original packaging and tie the tea ball on with a bow or move the tea into a canister or glass jar and arranged in a small basket. Find a basket or tin (Hobby Lobby has a both selection of both you can buy on sale) or even just a gift bag works great and arrange all the goodies! If you are using the cutting board you could place everything on top of it, wrap it in cellophane, and tie a bow around it. Otherwise the basket or gift bag route is a simple way to go. This would be another one that I would love! These are all things I enjoy snacking on but don’t always have the budget to purchase. Packaging: Leave in original package, put in small food bags, tins from Hobby Lobby, or mason jars. Place in a gift bag or basket. Bag or bar of better quality chocolate (Ghiradelli, Lindt, a fair trade brand etc) or an assortment of them. Packaging Place each type of candy into a small plastic gift bag (Hobby Lobby has cute ones), metal tins, boxes or do all three. 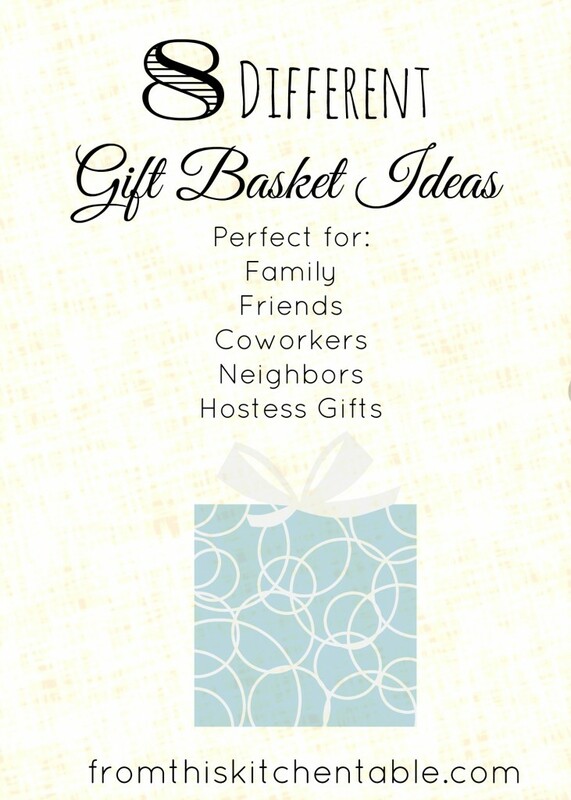 Place in a basket or simply put into a gift bag. Movie (optional) If you know a movie they’d love you can buy it, get a Redbox digital gift card ($10 minimum), include a couple dollars to cover a Redbox rental or skip completely and focus on the snacks. Sea Salt Optional, as most people will have salt they can use. Directions: Put oil and 3 kernels of popcorn in the bottom of a large pan with a lid and place over medium – medium high heat. When all three kernels pop add /2 cup or corn and put lid back on. Shake frequently until corn is popped. (May have to quickly empty out some of the popped corn to allow the rest to finish popping) Dump into a bowl and top with melted butter and salt to taste. Packaging: Place all of the supplies into a large bowl (it will become the popcorn bowl!). You could find plastic or paper popcorn containers to add as well. Wrap a festive ribbon around the bowl and you are set. Fruit Whatever you like and what’s in season: apples, oranges, cuties (my daughter would love to see a basket of these), grapefruit, pomegranate, bananas, pineapple, kiwi etc. The options are endless. Packaging Arrange them all in a basket and add a bow. What homemade gift baskets have you given or received? Be sure to come back next week for the next post in our Christmas series! You can follow us on Facebook or subscribe by e-mail to be sure you don’t miss out! This entry was posted in Christmas on December 6, 2013 by Deanna Michaels. This is the second post in the Christmas series at From this Kitchen Table. (Find the first post here.) Be sure to come back over the next few weeks to read more thoughts, get some new recipes, and receive gift ideas. You can follow us on Facebook or subscribe by e-mail to be sure you don’t miss out! 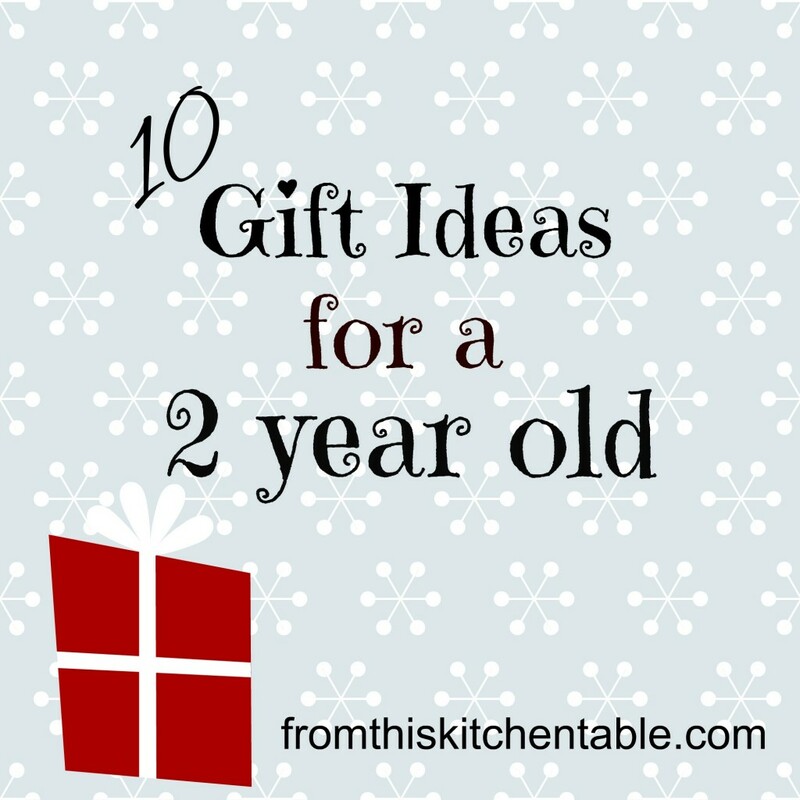 Here are 10 of the ideas that I came up with for gifts for a 2 year old. There are more, so eventually this might have to have a sequal and I haven’t even touched on books! All these you can order from Amazon (affiliate links used). Be sure to order by December 17th to be sure your presents arrive for Christmas if you are using free standard shipping! This is a fun first game for your child – boy or girl! The recommended age is 18 months and up. I’d agree with that. We bought this for our daughter’s second birthday and she loved it. Easy for them to catch on to and it is not competitive. At almost 3 she will still get this out to play. Our daughter was given this for Christmas last year at 22 months. It was a challenge for her, but she quickly got good at it and learned shapes (quatrefoil, parallelogram, trapezoid) she otherwise wouldn’t have. This was an excellent step up from the 5 shape plastic shape sorter she had. We have several Lauri toys but not this exact set. This looks like a perfect set for your child once they are 18 months old. Okay, so this one is purely a want and non educational but my daughter has the Cloud b Twilight stars and she LOVES them. Every night she wants to fall asleep with them on. We were fortunate enough to find her red ladybug stars at a garage sale and it was a few dollars well spent. The Pillow Pet Dream Lites are quite a bit cheaper and isn’t the penguin adorable? We haven’t used one personally though. Puzzles are always a hit! The pegs make it easy for little fingers to grab. We still have some puzzles that I grew up playing in our house. It’s fun to watch our daughter use the same ones. I found a Curious George puzzle and some by Melissa & Doug and Hape that look good options. What child doesn’t love color objects that they can stick all over the place? You can completely cater to your child’s interests here. This will take you to a general search. Any time we get a flash light out our daughter begs to use it. She’s going to be getting a flash light this year and I know she will be thrilled. We haven’t decided which on yet, but there are lots of options on Amazon. Once she hit 2 1/2 our daughter really started to get into playing with blocks. These are a fun and creative toy. I remember building towns with my sisters using Duplo blocks when I was growing up. I love bath time! I get to sit and watch the kids play while reading a few pages of a book. Win win situation. We don’t have a lot of toys but what we have gets used! I prefer not having squirt toys (are any toys with small holes) because mold will end up growing inside. Click here to go to a general search page and below are some items that my daughter would enjoy. What gifts have the 2 year olds in your life loved? Be sure to come back Friday for the next post in our Christmas series! You can follow us on Facebook or subscribe by e-mail to be sure you don’t miss out! This entry was posted in Christmas on December 4, 2013 by Deanna Michaels. This Christmas I’ll have a child that’s almost three. She soaks up every thing, asks questions, and figures things out in her little brain. I don’t want her to think Christmas is about presents, trees, lights, and cookies. Those things are all fun but that’s not what the season is about. I want her to know the true reason for Christmas – about the greatest gift ever. There are many ways to go about this, but this year we have decided to use Truth in the Tinsel: An Advent Experience for Little Hands. (Affiliate links used) Each day there is a clue, scripture, ornament to make, and discussion. The curriculum is written for preschool to early elementary aged kids. An added bonus, there are downloadable ornaments you can purchase if you aren’t crafty or to help with those extra crazy days (we know December will be full of them). This will be our first year using Truth in the Tinsel, but I think my daughter is going to love it. She’s at the age where she is getting into crafts and loves creating things and learning. This will be perfect. If you choose to use Truth in the Tinsel you’ll want to print it off or at least look it over before December 1st actually arrives. This will give you time to look over the supply list and see what you have sitting around the house, what you need to keep (you are going to want to keep the lid from that empty oatmeal container), and what you need to buy. My crafting supplies are pretty limited since we are just getting into that stage with my daughter so I’m having to do some scrounging, a craft store run, and substituting for what I don’t want to purchase. If you have a nice craft cabinet, you might not have to buy anything. I love how a full supply list is given as well as a daily supply list. 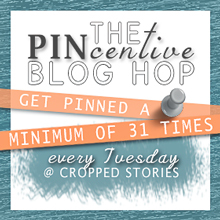 You can easily find what craft the pop-dots or buttons are used for and decide if you can substitute something else. Have you used Truth in the Tinsel? What are you doing to keep the focus on Christ during December in your family? 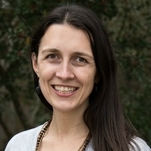 This entry was posted in Christmas, Faith on November 21, 2013 by Deanna Michaels.